It’s that time of year again, the weather is changing, the nights are getting shorter and spending the evening working in your garden just doesn’t sound as appealing as it did during the warm summer evenings. 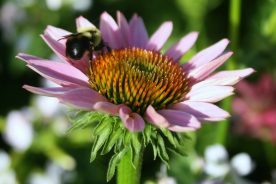 But before you hang up your garden tools and snuggle up on the couch with a warm cup of tea, there are a few steps you need to take to winterize your flower garden. Spending some time prepping your flower garden for winter now will ensure that spring will bring healthy, green plants that flourish with color. From cutting back dead stems to watering perennials and evergreens, or simply pulling weeds, winterizing is an important part of your fall yard maintenance routine. Below you will find some basic steps for preparing the most common parts the flower garden. The great thing about perennials in your flower garden is their ease of maintenance. They continue to come back year after year without a lot of upkeep and attention. Many of them even reseed themselves and come back stronger the next year. However, that doesn’t mean you can just leave them alone, especially when it comes to preparing them for the cold winter months. Fall is a great time to divide your perennials for replanting or to get rid of some of the less flourishing parts of the plant. 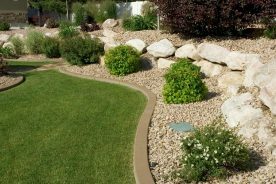 Typically, in most parts of the country, you will want to divide perennials approximately six weeks before the ground freezes. This gives the plants a chance to get established before the start of the freezing weather. The best candidates for fall replanting are spring and summer-blooming perennials. Those that have colorful growth around the outside but a scrawny center are easy to break apart into clumps and then replant in separate holes. Most of your common perennials will need to be cut back in the fall. Those plants that are showing signs of disease should be cut back in the fall for sure to help them go dormant and replenish during the winter months. Healthier perennials can be cut back in the fall or can wait until spring. If you have hardy, thick-stemmed plants such as sage, mums, or ornamental grasses you may choose to leave them through the winter. They provide an aesthetic interest as well as shelter for cold-weather critters. These plants should, however, be cut back in early spring. 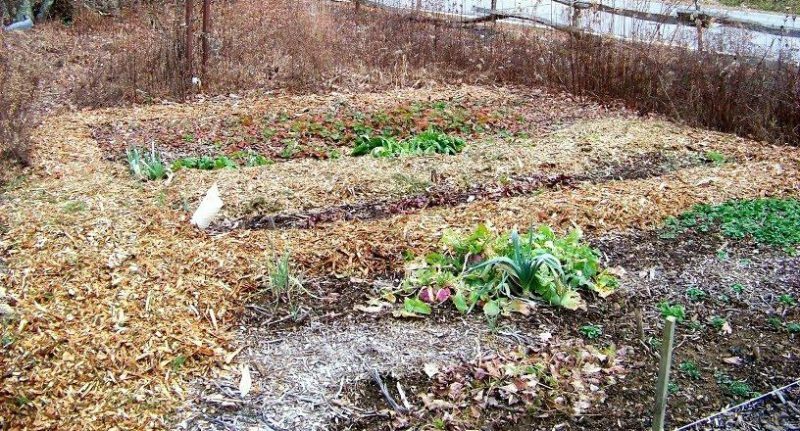 After the ground is frozen hard, perennials should be cut back to about 3-6 inches and then covered with mulch, straw, or leaves to keep a steadier temperature throughout the winter. Annual plants and flowers provide that pop of color to your garden that you want all spring and summer. While they aren’t going to come back the next year and will need to be replanted in spring, they do require some attention in the fall too. It might be tempting to just leave the dead, spent annual plants laying in the garden as the weather changes. After all, they’re not coming back. But it is important to remove the annual plant debris after the first frost. These dead plants make a great hiding place for insects and diseases during the winter which can cause damage to plants the following spring. Annual plants can be hard on the soil of your flowerbed throughout the growing season. Fall is a great time to replenish the soil by adding organic matter such as manure or compost to the growing area. It is a good idea to do this before the ground freezes solid so you can incorporate the matter by tilling it in. Using a tiller provides the soil with aeration so it does not become compact over the winter and has better drainage during the spring thaw. Next spring’s annual plants will flourish if the soil has a chance to replenish through the winter. Whether they are spring-, summer-, or fall-blooming, the plants in your flower garden that grow from bulbs need to be properly cared for before the winter months as well. 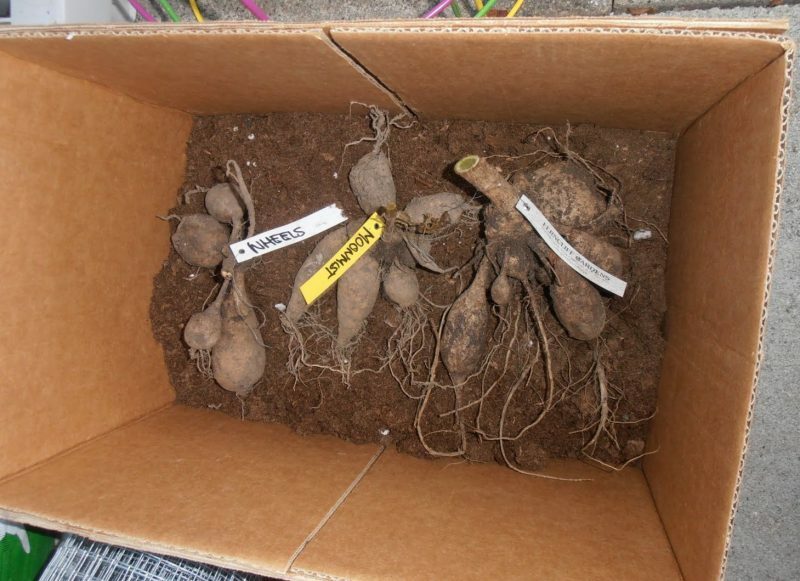 Tender bulbs that will not survive the freezing temperatures should be dug up and stored for the winter. These include the bulbs of cannas, dahlias, and gladioli just to name a few. You’ll know bulbs are ready to be dug up when their leaves turn black after the frost. Carefully dig bulbs up with a small shovel and then allow them to dry on a newspaper inside for a few days to a few weeks. It is best to store them in a container covered with an insulating matter such as sawdust, shredded newspaper, perlite, or even Styrofoam pack peanuts. You should then store them in a dark, humid place until they are ready to be brought out and replanted in the spring. While it may seem strange to be digging up some bulbs while in turn replanting others, there are some bulbs that need to be planted in the fall. Flowers that will show their colors in the spring such as daffodils, crocus, tulips, and hyacinth have bulbs that can withstand cold temperatures. Their bulbs should be planted in fall before the ground freezes, for a flourishing, colorful display once the temperatures start to rise again. Just like growing rose bushes, winterizing your rose bushes takes some extra care and attention. 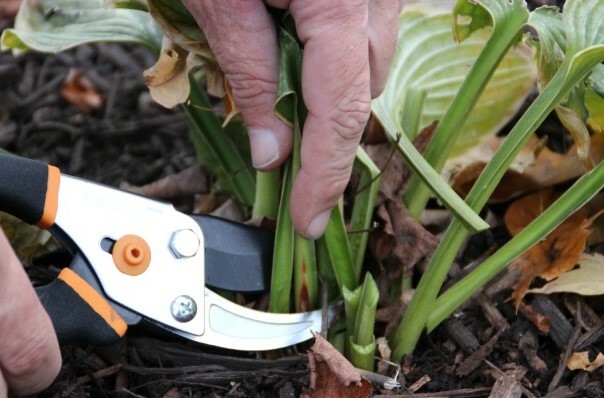 Start like you would with most other perennials by cutting back or removing any dead or diseased canes. Be careful not to remove too much of the bush as it will still need the living stems and canes to regrow in the spring. Instead of cutting back your rose bushes they will need to be covered in order to protect them from winter temperatures. First mulch the base of the bush with compost or leaves. Then use a rose cone or some type of cylinder to cover the entire bush. 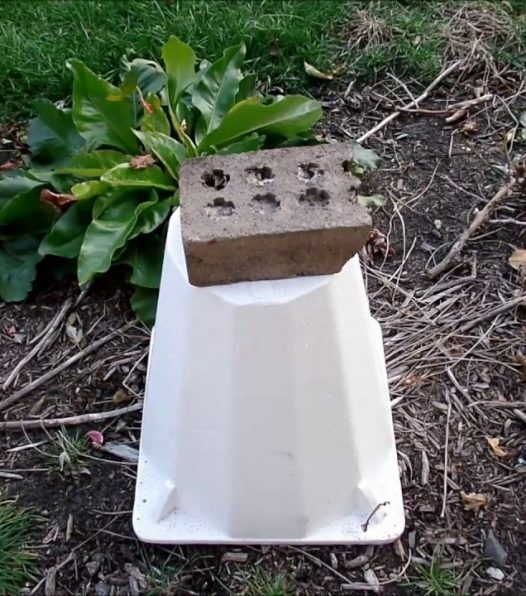 The cone should then be filled with chopped leaves, pine needles, mulch, compost, or dry wood chips to provide insulation for the plant, especially in areas with severe winter temperatures. If you are growing climbing rose bushes such as tea roses, their long canes should carefully be pulled down, laid flat on the ground and then covered with leaves, mulch, or pine branches. It is also important to continue to water your rose bushes throughout the fall. Watering can cease when the ground begins to freeze. You can discontinue the fertilization of rose bushes beginning 6 weeks before the first frost of fall. Once your plants have been cut back and prepped for winter, the rest of the garden area should have some attention as well. All those dead stalks, leaves, and foliage that have been cut should be picked up and discarded. Debris that is left on the ground can serve as a place to harbor pests and diseases over the winter. It can also cause and even bigger mess to clean up in the spring after everything has frozen and thawed. You should also make sure you remove any invasive plants and weeds. Anything that is unwanted or can cause growing problems in the spring should be pulled or dug out. Their seed heads should also be discarded of properly so they don’t find their way back in to your garden through compost, animals, or some other carrier. Plants need water in the fall as much as they need it in the spring, especially if you experience a dry fall with little rain. Even after plants go dormant some water in the soil will help them stay established throughout the cold temps and get them started again in spring. Watering plants will keep them free from stress and should be continued until the ground freezes. Once plants have been cut back or removed and all divided plants have been replanted, it is a good idea to cover it with some sort of organic matter. 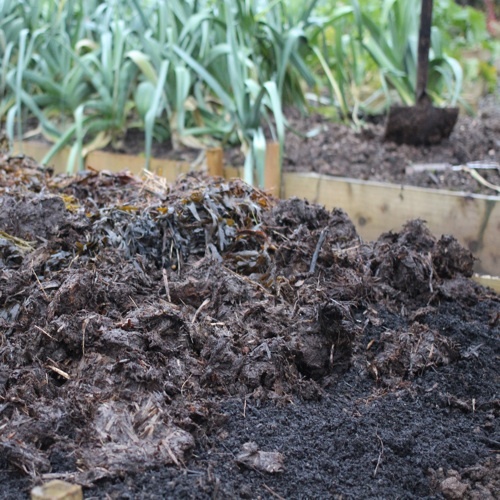 Adding compost, well-rotted manure or leaves to exposed soil will significantly improve the health of the soil by adding necessary nutrients. Up to 3 or 4 inches of compost should be used over your entire flower garden. Some gardeners like to make use of a rotary tiller to help incorporate compost or manure more readily into the soil. While this is not necessary it does help with aeration and drainage and leaves less to be tilled in once spring comes. 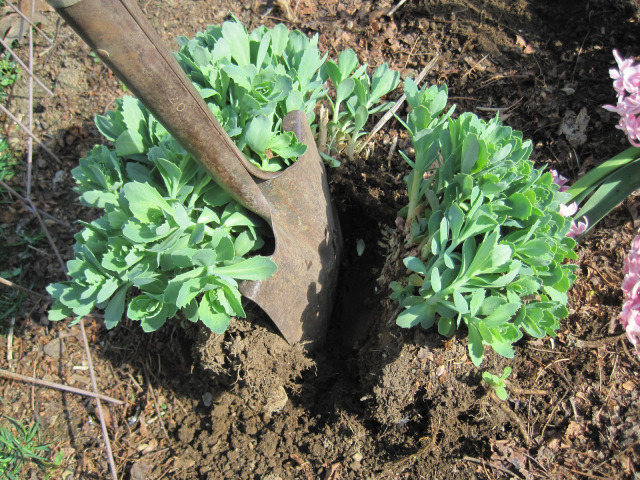 After a hard freeze, you will want to add a layer of mulch to your flower garden. Pay special attention to replanted perennials whose root systems haven’t had a chance to develop. 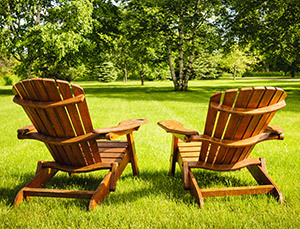 A layer of woodchips, shredded leaves, or even grass clippings will add a layer of protection that keeps the ground consistently cold or frozen throughout the freezing months. This will prevent cycles of freezing and thawing which can lead to ground upheavals that may uproot your plants. This basic guide to winterizing your flower garden covers a few of the standard practices for preparing most flowerbeds for the cold, wind, and freezing precipitation. There may be other more specific tips to follow if you have plants that are rarer or require a bit more attention than others. 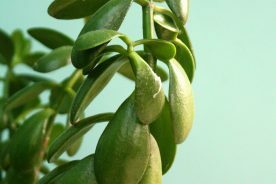 You may also have more tender plants that need to be brought inside or hardier plants that will last through the winter with no attention needed. Use this guide to get you started and remember that if you live in an area with a differing climate or hardiness zone there may be other tips to follow. Or you may not need to do any winterizing at all.